Featuring the voice talents of Taylor Kitsch (“Friday Night Lights,), Jennette McMcurdy(“iCarly”, “Sam & Cat”), Carla Gugino (Spy Kids) and James Woods (“Justice League Action,” Hercules)and distributed by Momentum Pictures and produced by DigiArt in association with Digital Idea and Celsius Entertainment. 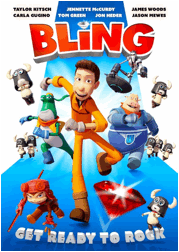 BLING follows the tale of lowly theme park mechanic Sam whose plan to marry the girl of his dreams is thwarted by a super villain. It is up to him and his team of superhero robots to save the city. Can this accident-prone amusement park mechanic get back his ring, stop the villain, and win the girl before it’s too late? 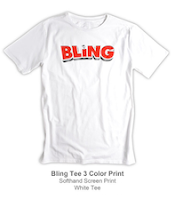 Are you interested in winning a Bling T-shirt and two passes to see the movie Bling?? Well your in luck enter the widget below for your change to win. I will have two winners. Who will each win two passes to the movie plus the T-shirts!! Toy Story was my favorite animated movie. I liked all of them. If I won, this would be for my grand children. I have 4. More recipes might be nice on your blog. My favorite animated movie is Up. I would like to see more reviews of food and drinks. This would be for my niece & nephews! They would love this! My favorite animated movie is Lion King! I would love to see more healthy, easy recipes as well as giveaways for kitchen items! Video game related things would be cool. My favorite animated movie is/was The Little Mermaid. It would be perfect for my 3 granddaughters. This movie would be for my youngest son.